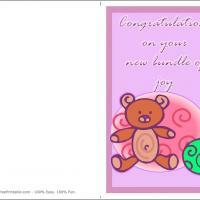 Greet the new parents with this half page baby card. 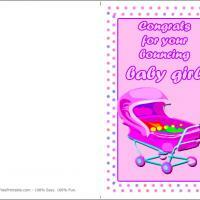 These printable baby cards feature a teddy bear and a green ball on a pink and purple background. 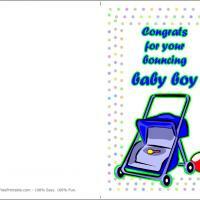 It's a gender neutral card so you can send it even if you don't yet know what the baby will be! 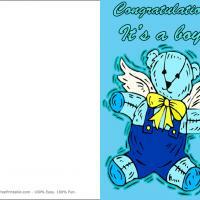 Print this card in a special paper and then fold it in half. Do not forget to include your message inside! 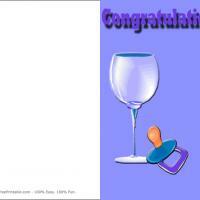 Send your congratulations to your friends or family and help them ring in the new arrival.